This stunning painted brick home in the Warren T. Jackson Elementary School by Harrison Design has a flat, walkout back yard ready for a pool and/or tennis court. 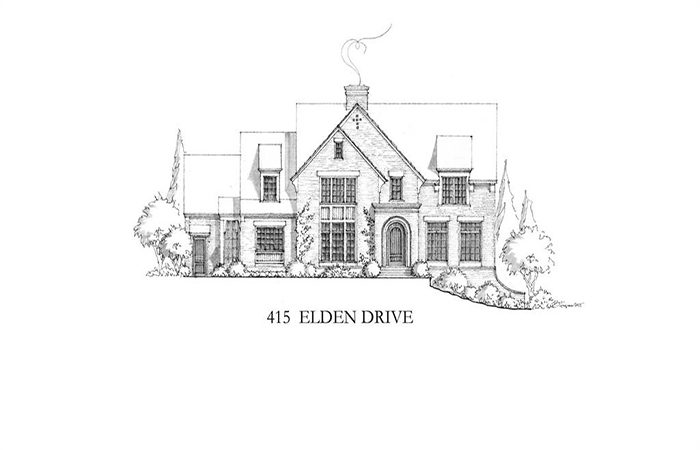 It features a gracious floorplan with luxurious master suite on main with separate vanities and water closets; a chef's kitchen and breakfast room, all open to a vaulted family room overlooking covered porch with a fireplace. 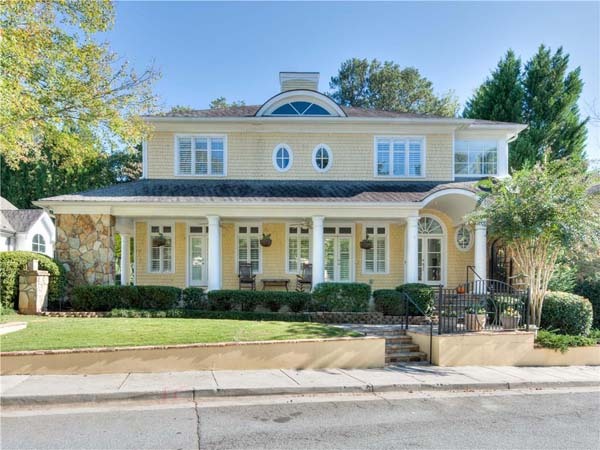 This stunning Bill Harrison designed-home is situated on a private hilltop on a quiet Buckhead street. 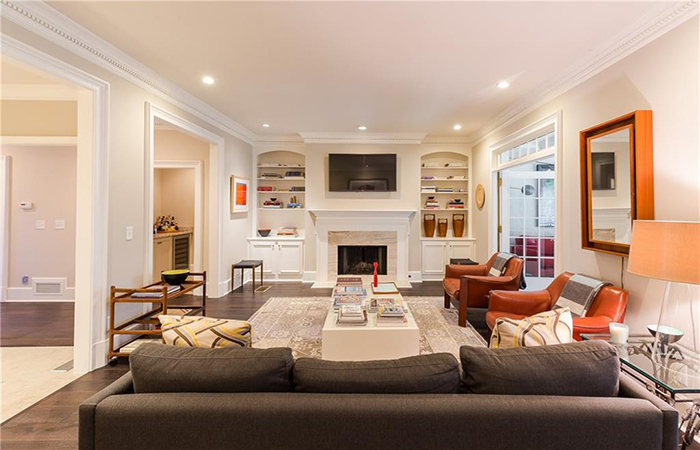 It has a spacious floorplan with beautiful natural light, handsome study and gourmet kitchen with granite open to the large family and breakfast rooms; both open to the outdoor stone terrace and walk-out backyard. This beautiful home on a quiet cul de sac has four bedrooms including a large master suite with his and hers closets and three full bathrooms, fresh paint throughout, newly refinished hardwood floors, new kitchen counters and appliances. There are plantation shutters throughout, a finished basement with a wine cellar, media room, full bath with steam shower and full bar area. 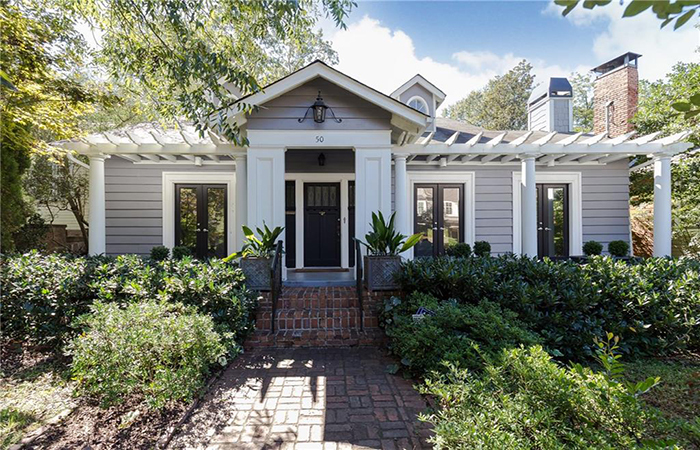 This stunning, light-filled bungalow in Ansley Park has been stylishly renovated. It is on a flat lot near McClatchey Park, and has indoor/outdoor living with walls of windowed doors open to the front porch and off the kitchen to a lush backyard. There is gorgeous white marble in the the kitchen, which also has a huge island, beakfast area and back patio access. 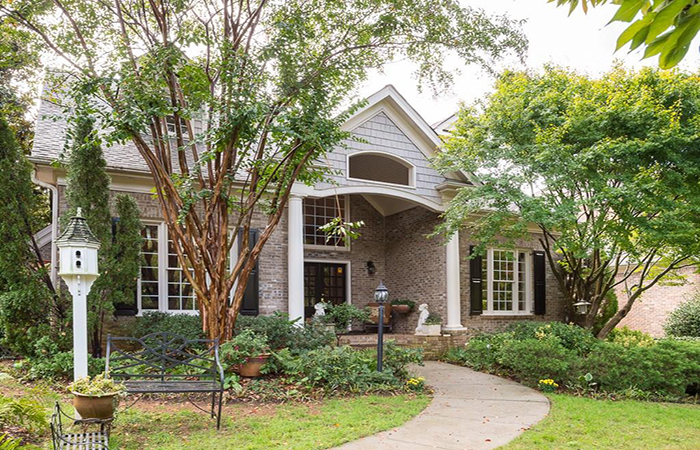 This well located, elegant and sophisticated brick home is within walking distance to Chastain Park and featured a spacious chef's kitchen with a large island and butler's pantry. It has a stunning master on main with two huge closets, a formal dining room perfect for entertaining and large extra bedrooms each with their own bathroom. This beautifully updated three bedroom/two bath home located in the popular Wildwood neighborhood has shiplap walls, wood beams, iron windows/doors and designer lighting as well as new hardwoods throughout. It features a gorgeous renovated chef’s kitchen with a large island with seating, marble countertops, professional, stainless steel appliances and custom cabinets, which opens to living room and dining area. 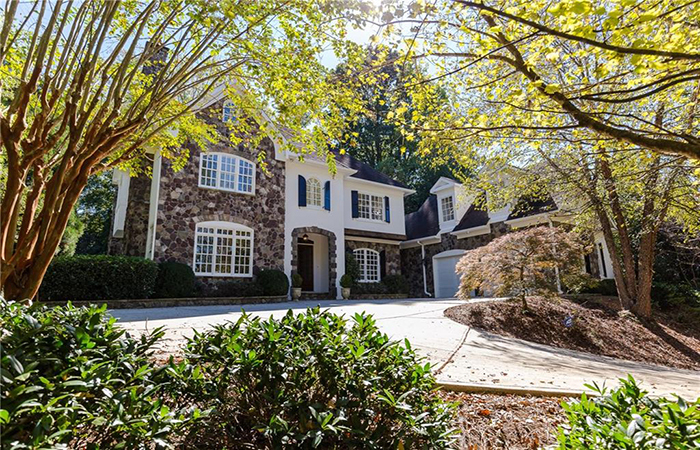 This gorgeous renovation with designer fixtures and finishes in a fabulous, gated, swim/tennis community in Buckhead has brand-new dark hardwoods, grand two-story foyer with curved staircase and 10 foot ceilings on the main floor. The stunning kitchen has a Viking oven/range, granite counters and limestone floors open to the family room with fireplace. This is an opportunity for a custom-built home from Pradera Homes, on a cul-de-sac lot in Cardinal Acres in the Riverwood International High School district. 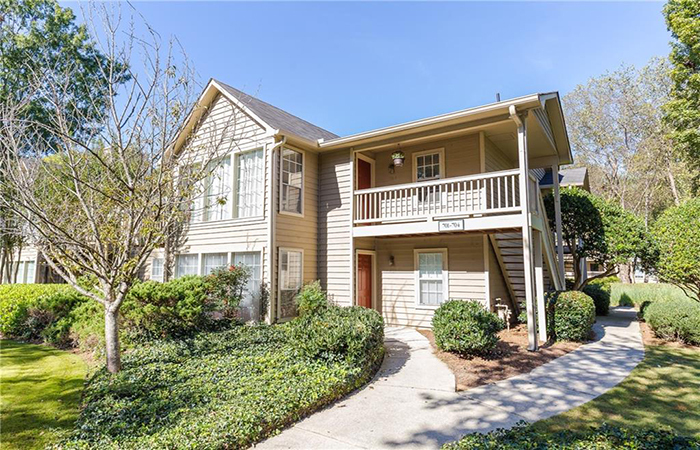 Convenient to Northside medical community and Interstate-285. 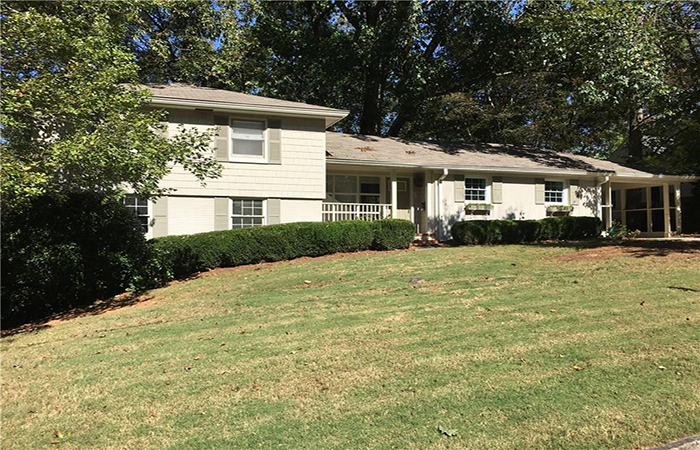 This charming home within walking distance of Historical Roswell Square, sits on more than an acre of level ground. This a great restoration project or an opportunity to build a dream home in an excellent location. Currently there is a four bedroom/three bathroom home on the site, with separate dining room, large kitchen with eat in area, over size deck overlooking wooded land. 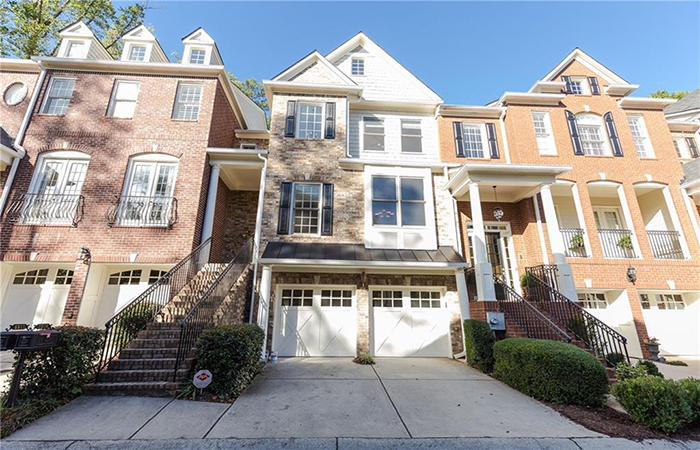 This lovely townhome in Sandy Springs is spacious with separate dining room and butler’s pantry, a large, open kitchen, that opens to the family room. It has an additional sitting room, screened in porch, both on the main level. It has a large master suite with hardwoods, double vanity en suite with a separate sitting area and a private deck. 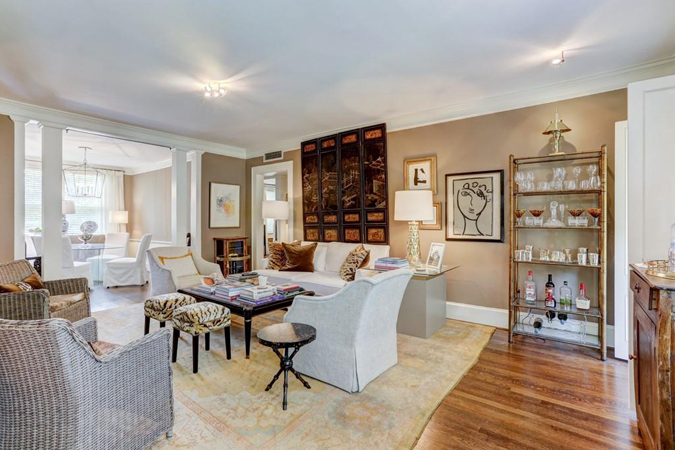 This is charming historic renovated condo is move in ready. It is a first floor end unit, all sparkling white with dark hardwood floors, high ceilings, two bedrooms/two bathrooms. The kitchen has black granite counters, brand new washer/dryer, gas cooktop, stainless steel appliances and a separate office in the basement, storage room, wand walk in cedar closet. 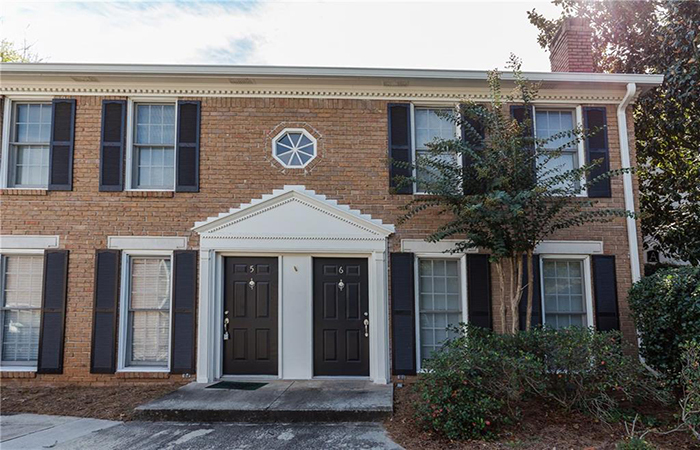 This fantastic Vinings condo in a gorgeous gated community has new, hand scraped hardwood flooring, new carpet, new HVAC with Nest system and a professionally painted interior. The gourmet kitchen boasts upgraded cabinetry, sleek stainless appliances, gas cooktop, under cabinet lighting and granite counters plus breakfast bar. 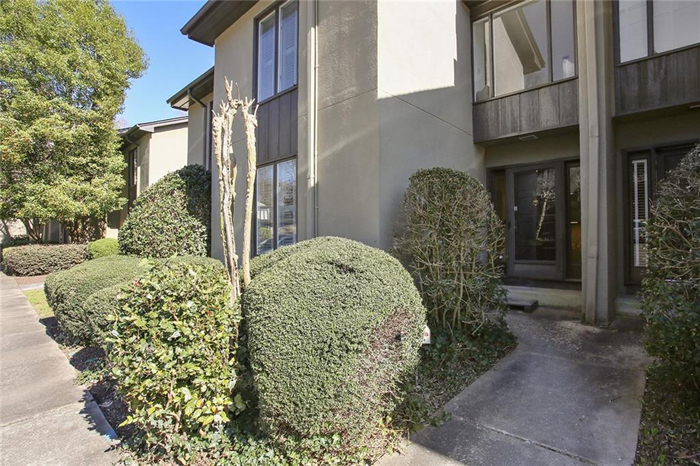 This two-story end unit has hardwoods on main, a kitchen with stainless appliances and granite counters, living room with fireplace, dining area and private fenced in patio off kitchen. 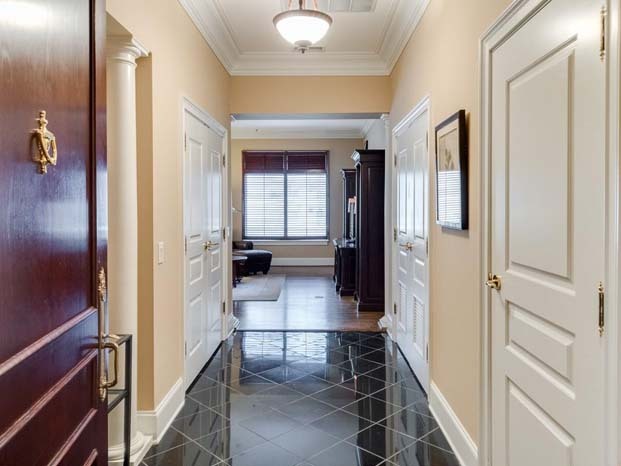 It is in a gated community with easy access to Interstate 75/85, restaurants and shops in Midtown and Buckhead. It is near Georgia Tech, the Beltline and Atlantic Station. 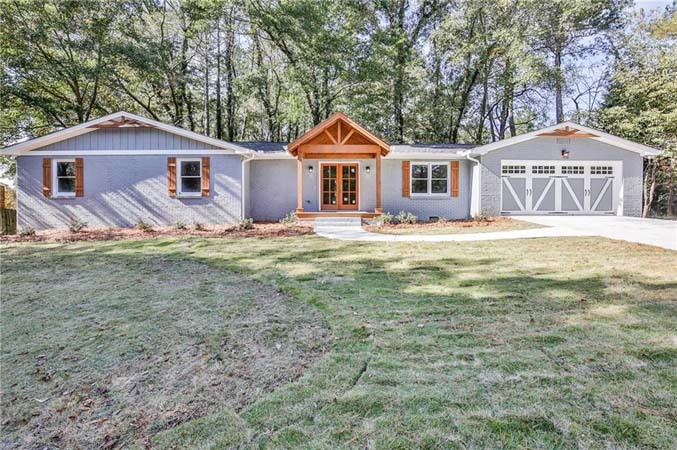 This is an amazing opportunity for a turn-key, premier location home that is a convenient walk to SunTrust Park and is in close proximity to Smyrna Market Village, Silver Comet Trail, Vinings Jubilee, Cumberland Mall and more. It has an open floor plan with tons of natural light, a master bedroom with walk-in closet and walk-out patio access and a breakfast bar and breakfast area.